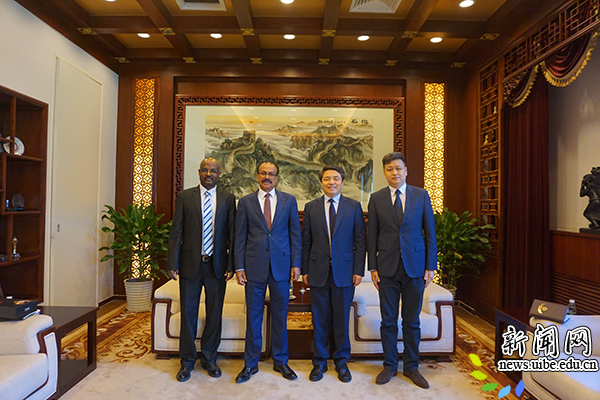 Ethiopian ambassador to China Berhane Gebre-Christos visited the University of International Business and Economics (UIBE) in Beijing on June 4, 2018. President Wang Jiaqiong of UIBE met the guests and pointed out that friendly and stable relations between the two countries have laid a good foundation for cooperation and exchanges. Wang said UIBE will increase the number of international students, expand exchanges of scholars and students and provide scholarships to support the country’s deep cooperation with Ethiopia and the neighboring countries of Africa under the Belt and Road Initiative. 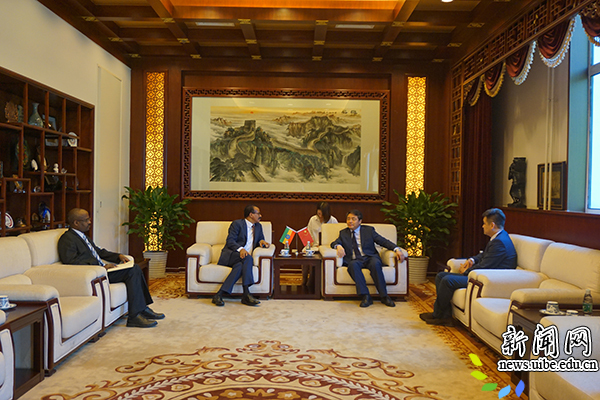 Ambassador Gebre-Christos expressed his thanks to President Wang and said that contacts between the Ethiopian Embassy and UIBE serve a link of exchanges between the two countries. The ambassador was delighted to see dozens of Ethiopian students are studying in UIBE and hoped them to bring positive impacts on Ethiopian development in the future.